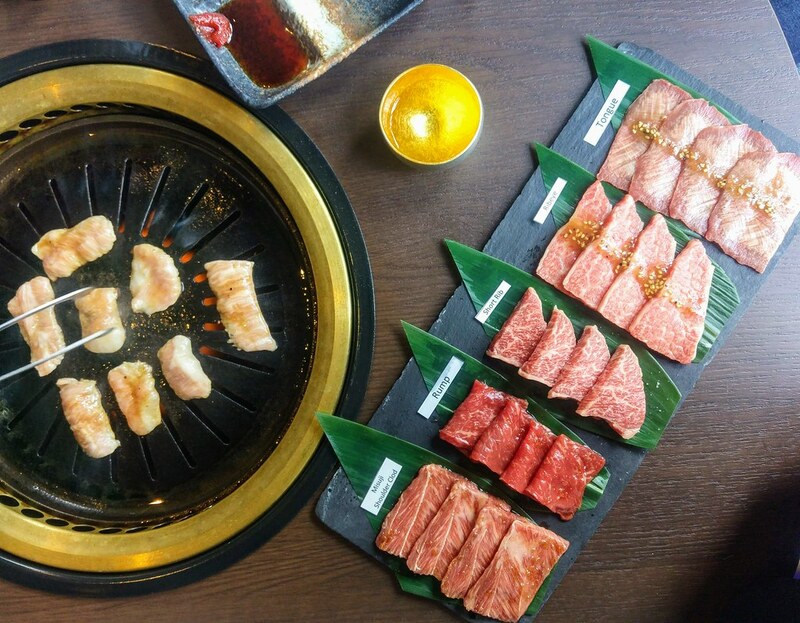 The Gyu Bar is an intimate 35-seater yakiniku restaurant nestled within the Novotel & Mercure hotel cluster along Stevens Road. Located almost right at the end of the F&B enclave, it enjoys a good amount of natural lights that lit up the wooden furnishing with a cosy warm glow. Central to the concept is communal dining hence the modular seats are circular to create a flow while individual table still enjoy a level of privacy. Upon my arrival, I was brought to the "Sake Glass Wall" where the owners' collection of sake cups and glasses of various characters are exhibited. I was asked to choose a glass that I set my eyes on. 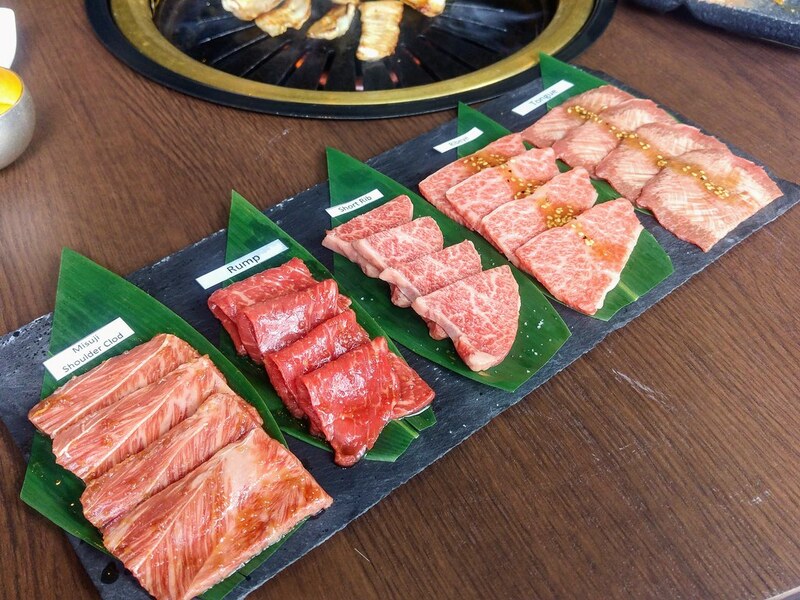 Synonymous with yakiniku culture is the fostering of friendship and sharing. 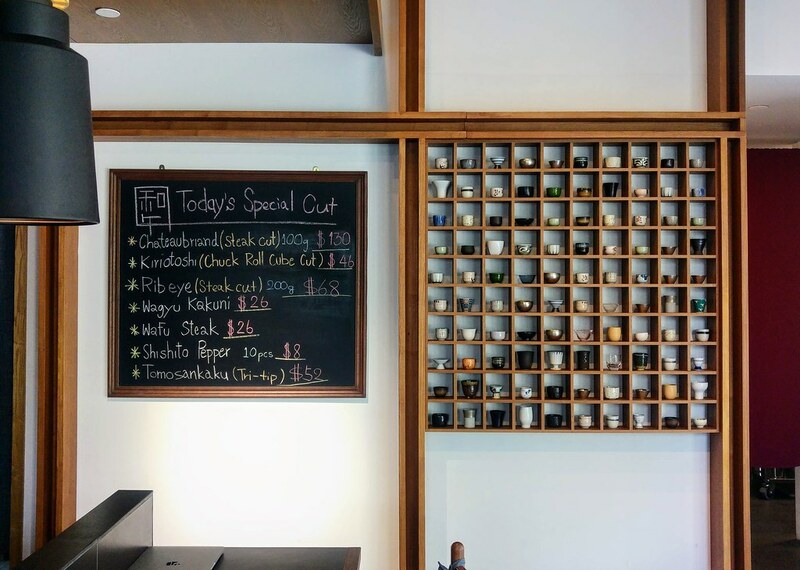 With the spirit of omotenashi in mind, the founders would like to share their collection of sake cups and glasses with you by offering you a drink on the house in your preferred sake cup, on each of your visit. 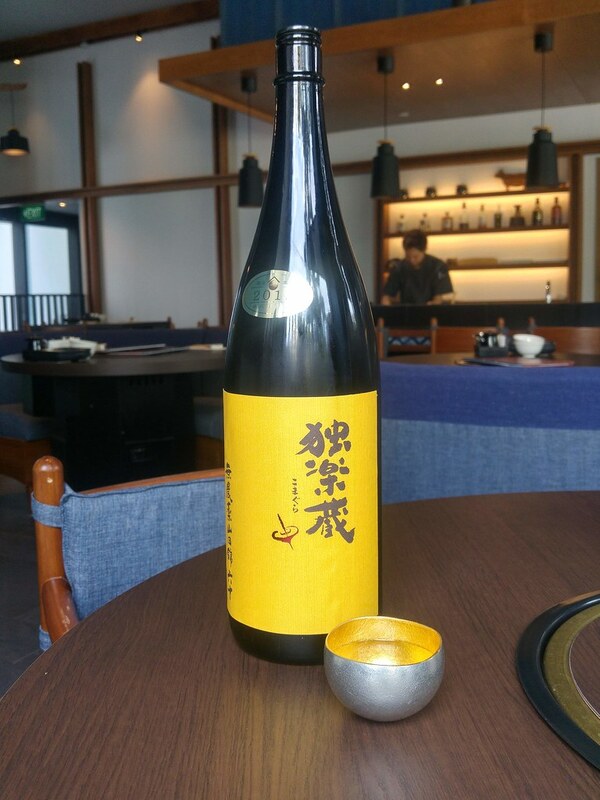 I selected mine that is lined with gold interior, known for its ability to infuse antioxidants into my sake and keep it chill for a longer time. An effort to make you feel at home, if you love the cup in your hand, you can call it your 'own' and have it each and every time you 'return' to this home. There are 40 types of imported Japanese sakes available for either individual consumption or sharing between small groups. 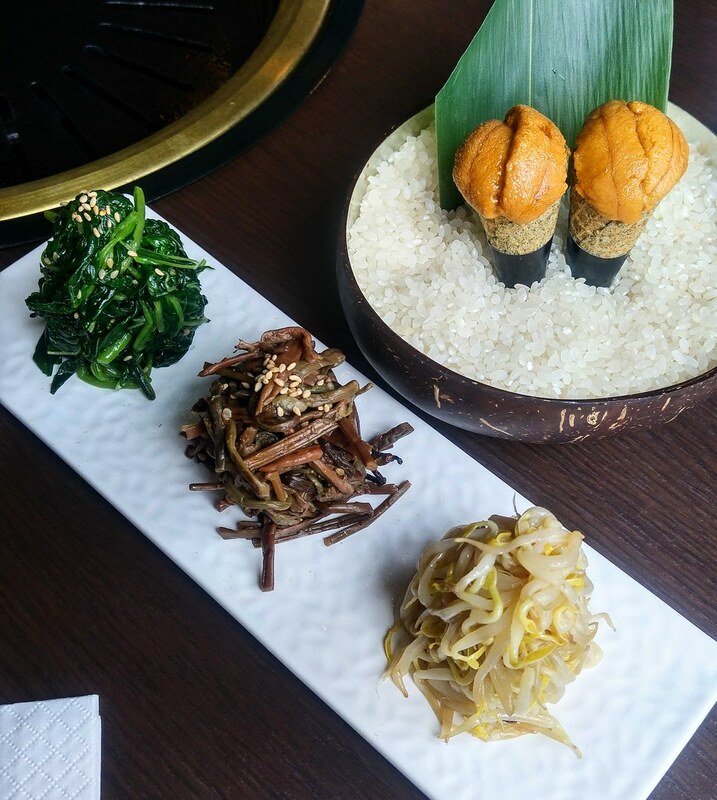 We started off with some Banchan and Uni Wagyu Yukke Cone ($38 for 4pc). I learnt that the origin of Yakiniku is actually closely associated and heavily influenced by Korean cuisine, which explains the side dishes and the use of Korean spicy miso in our dips. The latter was like a savoury ice cream which is cold and creamy in the mouth, tasted a bit briny and savoury, and finished off with sweetness from the crunchy biscuit cone. Almost a year was spent sourcing for the finest bred of Black Wagyu cattle from Japan. Kumamoto Kuroge breed was eventually selected for their balance in marbling and meat. Stress free environment with pristine air quality, coupled with custom breeding techniques that consist of naturally purified water carved by the volcanos in Mount Aso, and a special blended diet of vegetables, you just got to taste the difference. 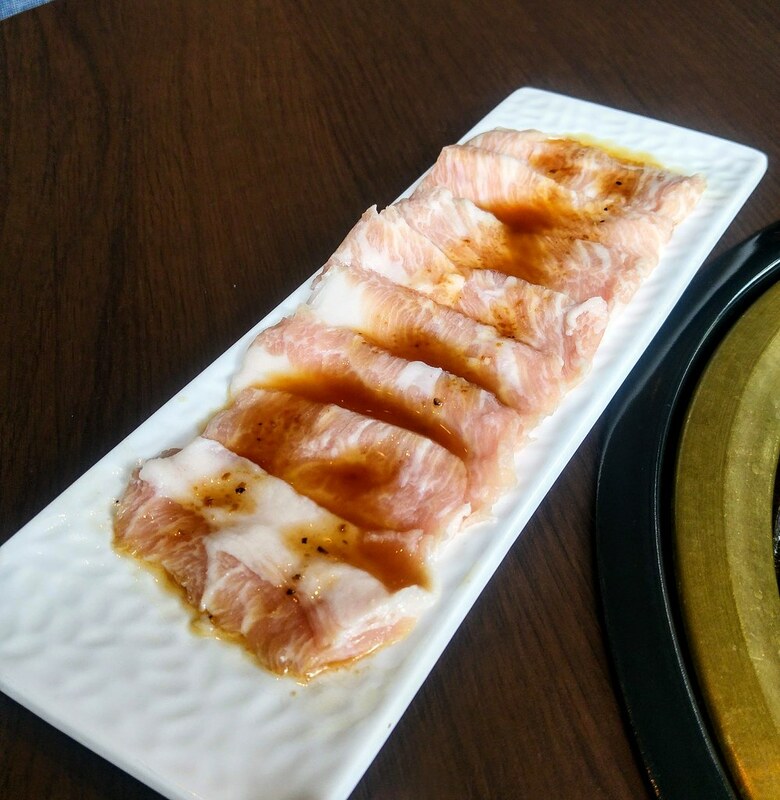 Gyu Bar Platter ($98) allows you to try the various cuts and a more luxurious version would be the Omakase Beef Platter ($178/ 300g). When I first saw the platter, I was amazed by how elegant it looked, and that quality transcends to the flavor of each and every pieces. Even the Tongue, which I would normally avoid, was gentle on my taste buds. 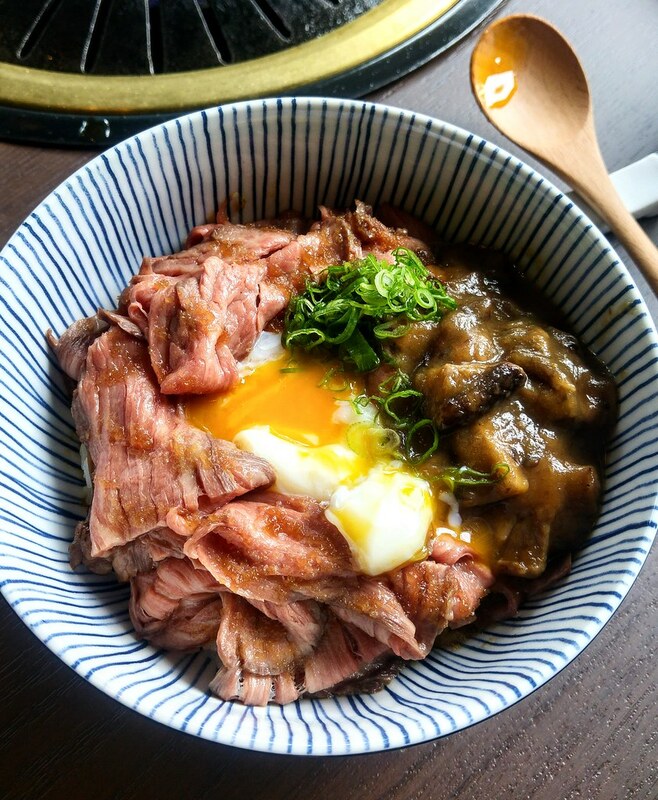 When I had this Sirloin Sukiyaki Beef with egg dip ($30 per serving / $42 per serving with Uni), it was one of the moments when my heart lifted with contentment as the meat, laced with the truffled egg yolk, melted in my mouth. A small rice roll, made with organic short grain rice from Niigata is served with the beef, meant for you to soak up the remaining egg sauce, which is now flavoured with the beef's juice. Aside from beef, quality sourced pork loin and neck (Tontoro) cuts, scallops are offered in the menu as well. If you intend to drop by for lunch, you can choose from a variety of rice bowls that comes complete with soup, house salad and dessert. One of the recommended dishes is the Signature Roast Beef Don ($35). The slabs of slow roast beef were quite lean but they were still rather flavourful and tender. 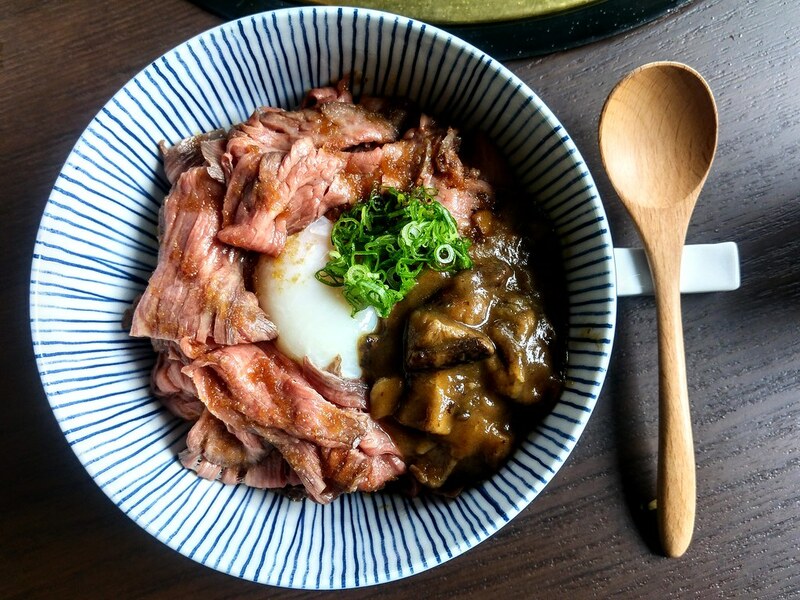 The Chef's secret gravy works with the onsen egg to bring the beef, mushrooms and rice together in harmony. 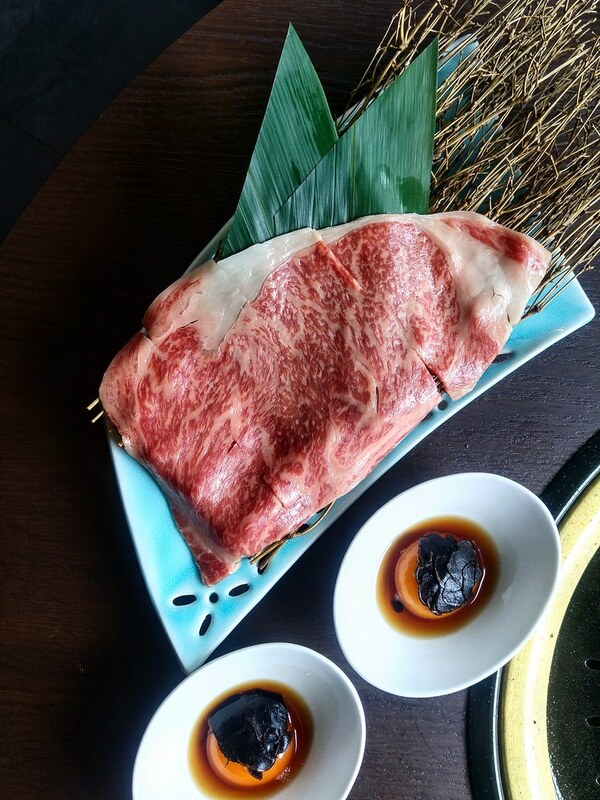 What I thought is lacking, is that char on the surface of the beef to draw out its fats and juices embedded within. With all that lingering in your mouth, simple desserts such as ice creams are probably the most ideal way to round off your meal. 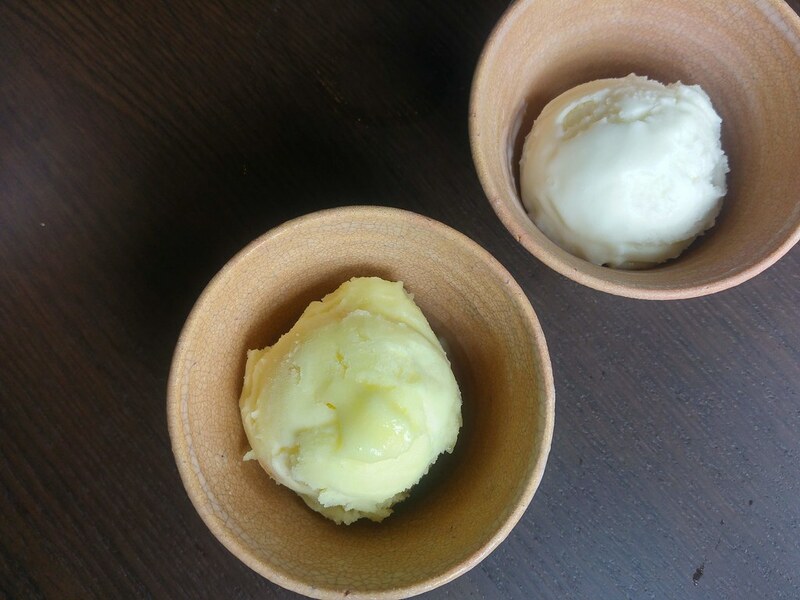 The Yuzu Ice Cream ($6) was refreshing while the Salt Ice Cream ($6) was milky, sweet and savoury. 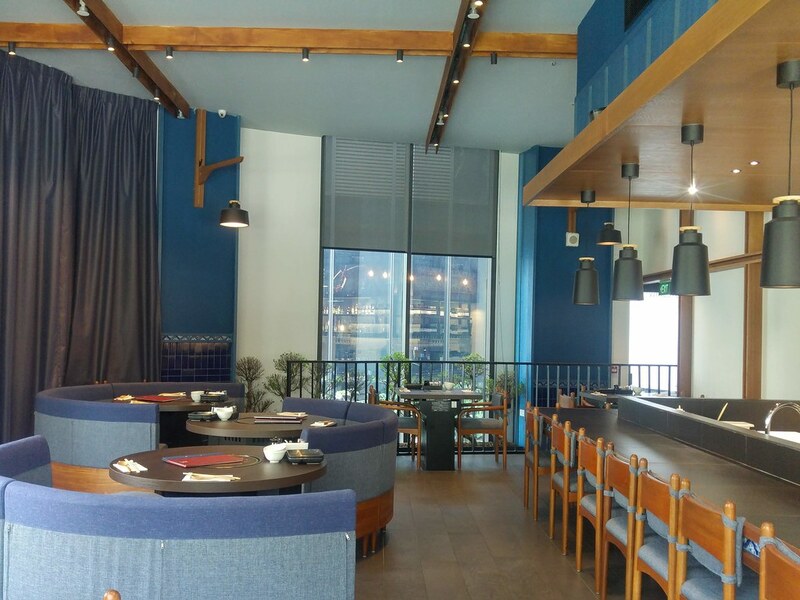 Thanks to the high efficiency of the restaurant’s ventilation system throughout the restaurant, you will leave this place still feeling and smelling fresh, and perhaps more rejuvenated. Like a cup of good coffee that perks me up without sending my heart racing, the meats didn't overload my stomach despite the quantity I had. The soothing ambience within The Gyu Bar allows one to have deep conversations with others, while savouring all that are on the table. Instead of eating your heart out, you may just want to leave some space for the next time.